Barack Hussein Obama exits the White House today. He proved how hope and hard work are instrumental in defying the constraints society imposes on individuals. His ascent to Presidency was historic and re-infused America with optimism despite its greatly troubled situation. Throughout his tenure he showed how a leader carries oneself and achieved memorable milestones despite relentless opposition that served to counter his every move. His poise and humour will be greatly missed. What made Obama’s victory in 2008 unique? In 2004, people were more likely to not have heard of Obama. But in 2008 his campaign with its emphasis on “hope” resonated so much that he went on to win the highest victory margin in popular votes for a non-incumbent. Earning 69.5 million votes, he became the first Presidential candidate to have achieved such a large vote count. In a country which had granted equal status to African Americans relatively recently, his African American descent made his candidacy and election historic. There were several candidates for Democratic nominee and Obama, a new face and voice competed against Hillary Clinton, who had been thought would clinch the nomination by default. The breakthrough his victory achieved earned its place in history and was made all the more unique because it would have been inconceivable as near as two years before. Barely one-and-a-half centuries ago, Obama as a black man, could have been a slave. His victory brought Euphoria to every member of the Black community and beyond. The happiness and cheer was not only confined to the United States but shared by the whole world. Why does Obama remain popular? The annual Gallup poll based on a survey of a random sample of 1,028 adults across US in 2016 revealed he was the most admired man that year – for the ninth successive time. His job approval rating at 57 percent and personal favorable rating have both spiked, according to this Gallup poll. American statistician and writer Nate Silver said in July, “We think the country is going to hell BUT we sorta like that Obama guy”. His popularity is said to arise from the opinions that the US economy is growing under him, there has been a drop in the national unemployment rate, and more people have come to support Obamacare and other White House initiated programs in his tenure. Majority of Americans have considered Obama – throughout his presidency – as one of the two most admired leaders in the US. Another perspective on his high popularity ratings contradicts Gallup’s explanation that the rise in popularity happens typically to lame duck presidents in their last year by pointing out that as a person he remained popular even when his job approval rating was low. Even people who point out the failures of his policies recognize that he has been a fairly scandal-free President and had no personal scandals (the laughable Birther controversy does not count). Beyond that, even critics acknowledge he is a good person characterized by integrity and strength. He has maintained grace and humility and humour throughout abysmally low times, makes clearly thought out decisions, his demeanor is one of poise and his charisma reflects in his speeches.His loyalty and involvement as a family man are held in esteem. When did Obama’s oratorical skills first come to the forefront? 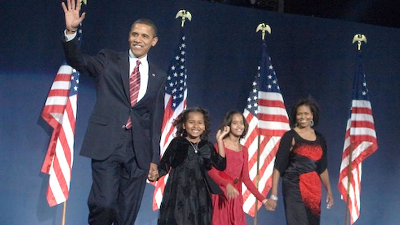 Illinois State Senator Barack Obama was among several candidates considered for the role of keynote speaker at the 2004 Democratic National Convention. His unexpected landslide win in the Senate race and resounding support from those who had worked and interacted with him overrode concerns about his speaking style, unfamiliarity with a teleprompter, his position – only a state senator, and his opposition to the Iraq War initially supported by John Kerry, the then Democratic Presidential candidate. Kerry’s relatively low support among African Americans is also believed to have influenced the choice. 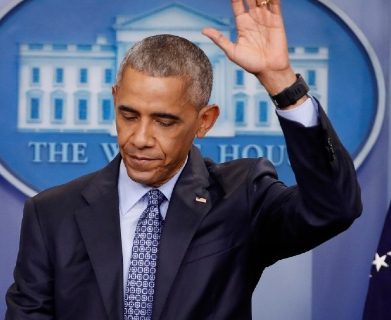 Obama remembered a phrase from his pastor’s sermon – the audacity of hope – while analyzing his own campaign and interactions and decided it would be an apt title for his speech, the permitted length of which would be extended by nine minutes. Obama’s mastery at blending in narratives to connect with, impress and interest the audience was apparent right then and throughout the widely-acclaimed speech. Starting off with an introduction of his own story to the nation, he presented hope and optimism as characteristics of the courageous people who pushed against odds to fulfill their vision for themselves and the country. The speech was interrupted 33 times by the audience’s applause and became one of the best political speeches in modern American history. One analysis of the speech said it made the audience feel they were witnessing a special and historic moment; not just listening to another good speech. My parents shared not only an improbable love; they shared an abiding faith in the possibilities of this nation. They would give me an African name, Barack, or "blessed," believing that in a tolerant America your name is no barrier to success. There's not a black America and white America and Latino America and Asian America; there's the United States of America…. We worship an awesome God in the blue states, and we don't like federal agents poking around our libraries in the red states. We coach little league in the blue states and, yes, we've got some gay friends in the red states. I'm not talking about blind optimism here, the almost willful ignorance that thinks unemployment will go away if we just don't think about it, or health care crisis will solve itself if we just ignore it …. That's not what I'm talking. I'm talking about something more substantial. It's the hope of slaves sitting around a fire singing freedom songs; the hope of immigrants setting out for distant shores; the hope of a young naval lieutenant bravely patrolling the Mekong Delta; the hope of a millworker's son who dares to defy the odds; the hope of a skinny kid with a funny name who believes that America has a place for him, too… Hope in the face of difficulty, hope in the face of uncertainty, the audacity of hope: In the end, that is God's greatest gift to us, the bedrock of this nation, a belief in things not seen, a belief that there are better days ahead. Where do his policies evoke mixed reactions and criticisms? The 2010 Affordable Care Act brought in around 20 million citizens as beneficiaries of the healthcare scheme but rapid rise in premium costs and major insurers opting out has hit its efficacy. Activists of Black Lives Matter, a movement which arose in protest against extreme and fatal force against black civilians are disappointed by Obama’s practice of avoiding the issue of racism. "It felt like the winds of history were in our sails. We thought we were entering a new era, but Obama's government was largely unresponsive to the protests sparked by police killings of black people. He did not attend a single funeral of these murder victims. When racism came up, Obama deflected. He chose the side of the powerful, even as a movement of young black people raised the modest demand of stopping state violence against us." Khury Petersen-Smith, a Boston-based Black Lives Matter activist, told Al Jazeera. He has not been able to achieve what he promised – withdraw US forces from Iraq and Afghanistan and close down the Guantanamo Bay base. He took steps towards fulfilling these promises but had to make do with reduced deployments to Iraq and Afghanistan and a yet-to-be-sealed Guantanamo Bay. He also maintained his promise to work with former foes for the better good as the significant nuclear deal with Iran shows. He made efforts to fostering better relations with Cuba leading to more beneficial economic relations and a US embassy in Havana. 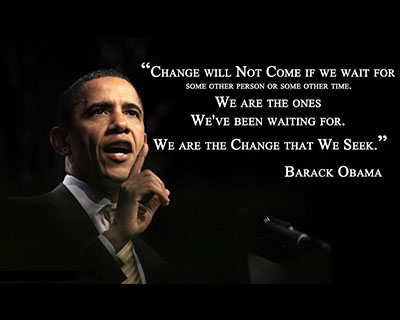 His efforts to address climate change led to the US joining the landmark Paris Climate agreement which concerns greenhouse gases emissions mitigation, adaptation and finance starting 2020. He also transferred 1 billion dollars out of the promised 3 billion in installments to the Green Climate Fund.He persisted in these efforts notwithstanding constant criticism from opposition. At least part of the criticism stems from resentment at his rational argument about the limits of American power – critics see this as a subversion of the US role as a global policeman. But nearly more than 50 percent of those polled by Pew Research Center in 2016 across parts of Europe, the Asia-Pacific and North America felt Obama had done a good job. Other criticisms are directed against his drone campaign and how his administration justified drone strikes which killed civilians, for his inability to prevent Assad from using chemical weapons against the people of Syria, and not putting enough effort to discourage US’s interventionist tendencies. 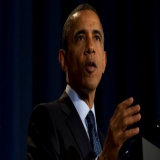 “Obama's record contradicts the notion that he has pursued a policy of retrenchment. He's done absolutely nothing to diminish the presence of US military bases in the Middle East. He kept this archipelago of naval and air bases and supply bases throughout the Gulf, just like his predecessors”, said Michael Brenner, scholar and former consultant to the US State Department and the Pentagon. While it is convenient to say that anyone after George Bush would have set a higher standard as President, one cannot forget the state America was in when Obama assumed Presidency and the enormous burden he carried. He not only salvaged the country from sinking further but also brought about improvement in some areas despite vigorous and at times mindless opposition. Elizabeth Austin, writing in International Policy Digest elaborates on Obama’s policies and the challenges they had to confront. As Senator of Illinois State, he made healthcare available for 70,000 additional children through the Illinois KidCare program. As President, his Affordable Care Act or Obamacare policy made healthcare accessible to more Americans through subsidies and insurance exchanges. There were also expansions to Medicaid – a scheme for low income people to avail healthcare insurance. But after Supreme Court ruled in 2012 that Medicaid expansion need not be implemented, many states, largely Republican, opted out of implementing this provision which had significantly increased the income threshold and made many more people eligible for Medicaid.Despite this, Obamacare could insure 20 million more Americans. While talking about the rate of rise in healthcare coverage costs, we need to take into account the pattern of increase as well as cost projections before Obamacare was implemented. These reveal a gradual decrease in healthcare costs even as more Americans become insured and that estimated cost of healthcare from 2015-2024 is significantly - $104 billion – less than pre-Obamacare estimates. 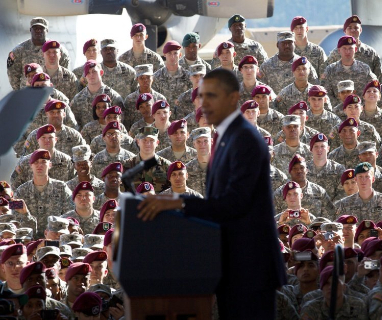 Though regions in Afghanistan and Iraq witnessed a reduction of US troops, Obama’s stated goal of removing all US forces and bases in these regions remained unfulfilled. Any hope that a successful killing of Osama Bin Laden by a US Navy seal team would help Obama achieve his goal were stamped out by the rise of ISIS. Though the US did not want to be part of another conflict at this point of time, Obama intervened to act when the native Yazidi people of Iraq were forced to flee into the mountains where starvation would have killed them instead of ISIS. The US joined in airstrikes as a part of the larger war to slay ISIS. Who among others defended Obama at an unlikely time? On one hand, Obama is the recipient of numerous tributes and bouquets from a wide spectrum of admirers. On the other, several people lament on his policies and how he let them down. Paul Krugman, Nobel Prize-winning economist, once skeptical when several others applauded Obama, defended him at a time when the President was at the centre of criticisms. 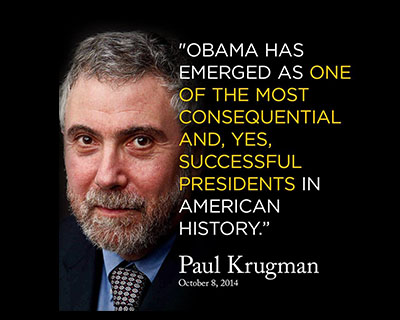 In 2014, when the criticisms from the Left and Right and the mainstream critics were hurled at Obama in their own flavor, and were supported by his low approval ratings in polls, Krugman summed up Obama’s achievements despite the Opposition’s tenacious efforts to counter his policies. Krugman analyzed Obama’s policies for better healthcare, financial reform, the economy and the environment and pointed out how they were much more positive than critics understood. He also highlighted that while Obama had chosen to be a follower rather than a leader in social issues like gay marriage and women’s rights, he deserves credit for his willingness to follow the country's new open-mindedness. He concluded that in each of the domestic policy issues, Obama did not meet his supporters’ expectations and arguably did less than what US deserved, but more than his detractors acknowledge. He reinforced his defense of Obama in 2016 and cited the Census Bureau reports on income, poverty and health insurance in 2015 which indicated progress in all three areas – median income rose a remarkable 5.2 percent; a substantial decline in the poverty rate; and a significant further rise in health insurance coverage after 2014’s gains; a successful combination not achieved since 1999. How have people paid their farewell tributes? Fans gathered outside the White House and held up a banner thanking Obama:“Thank you President Obama: Your grace still echoes above the noise” They were cheered on by passersby. “I’ll miss his grace under fire, I’ll miss his fairness, I’ll miss his inclusion for everyone in this country”, said acupuncturist Amy Lewis. Celebrities and activists paid their tribute through a farewell video in which they mentioned the memorable moments that inspired them to say, “Yes we can”. The BBC had listed the response of some media outlets around the world. UK Guardian’s website acknowledged his farewell speech “Yes We did” as “Barack Obama lifts America one last time”. German public broadcaster ARD called the speech “A fiery plea for democracy”. While the UK’s Daily Telegraph emphasized Obama’s “urgent and fearful” warning about the situation American democracy is in, a commentary opined Donald Trump’s arrival to be an opportunity to “rebuild the special relationship between Britain and America”. An article in Hindustan Times adopts a critical view of Obama’s perceived policy shortcomings and says while “we will miss Obama for a while But his misses, and their consequences, will be with us for a long, long time”. 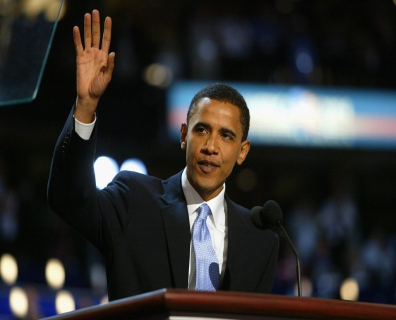 Another article on his farewell speech was titled “This is how a leader signs off”. A commentator in Saudi paper Arab News says Obama leaves the world “bitterly divided” and his “untidy withdrawal” from the Middle East and indecisiveness on Syria led to Iran gaining a stronghold and frustrating US’s allies there. 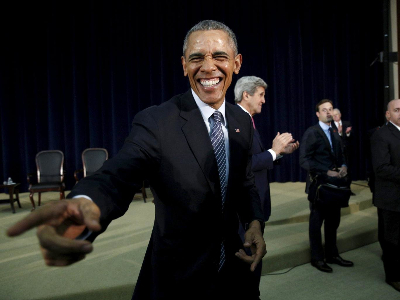 La Razon views Obama as a “man trampled by reality”. CCTV of China refers to a poll that suggests most Americans view Obama as a President who “tried but failed” to deliver on his promises but notes that at least US-Beijing relations have been stable during the past year. Many pointed out how Obama could laugh at himself and do with humility and humour what other Presidents did with arrogance. It is worthwhile to remember what The Independent wrote of him in April 2016:“He might not be the first truly post-racial president after all — but Obama is arguably the first postmodern humorist to hold the office”. “For a long time, presidential humour was predictable as a knock-knock joke. Then along came President Obama, dropping the word “heezy,” mimicking viral memes, and quipping that he and Joe Biden are so close, they’d probably be denied service at an Indiana pizza joint”, it wrote.